We have been eagerly anticipating the month of April, as it means the arrival of one of our favourite events of the year; Milan Design week. If you have little knowledge of the prestigious occasion, the week-long event encompasses the global capital of fashion and design towards the beginning of the month, each year. With several events held across the city, the most significant is ‘Salone del Mobile’, translated as Milan Furniture Fair. The exhibition showcases the latest and most innovative furniture and design from countries across the globe. A piece that couldn’t have gone unnoticed at the exhibition was the vibrant ‘Bloom Cabinet’ by industrial, Australian designer Adam Goodrum and French marquetry artisan Arthur Seigneur. Inspired by the exotic lotus flower, the pair used the ancient straw inlay technique of marquetry to form the bold yet delicate and extraordinarily luminous, petals. Through a careful selection of colour pigments, the layers of pattern form a brilliant gradient, transforming a traditionally crafted design into something very fit for a contemporary setting. American artist Phillip K. Smith III stunned us with his mirror installation designed in collaboration with fashion brand COS. 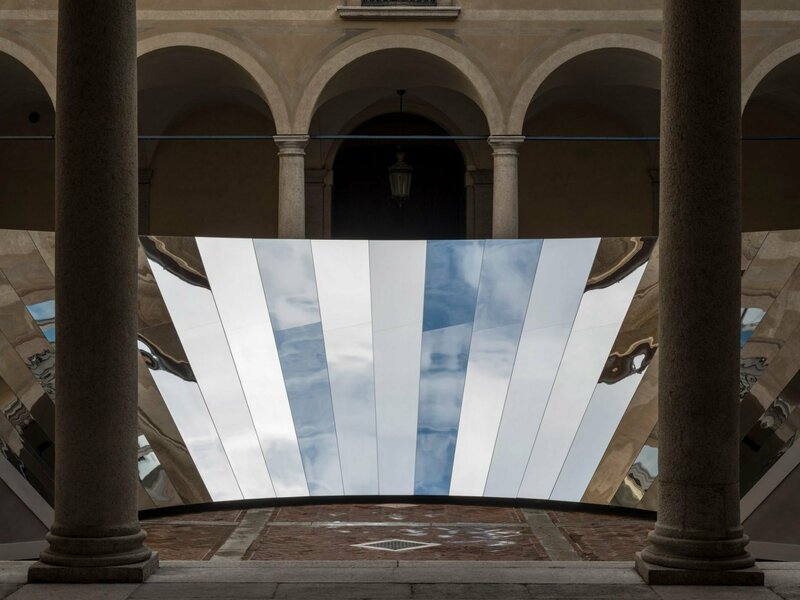 The faceted mirrored structure was situated in the courtyard of a 16th-century palazzo, with the location providing the inspiration for the piece. 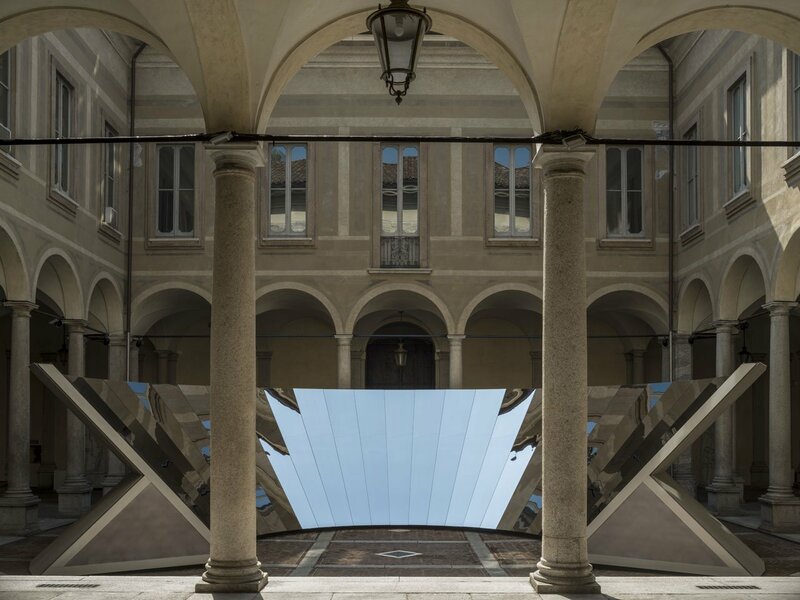 Smith III described his intention to be to “pull the sky down to the floor” and to “merge the beauty of the surrounding architecture and the sky over Milan, creating an ever-changing experience”. And he did just that – we were overwhelmed with the sensational Milanese surroundings. 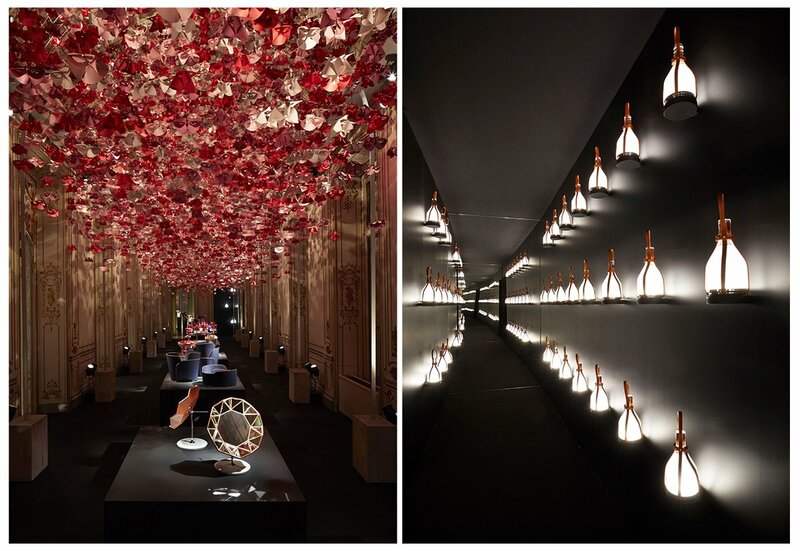 The fashion house of Louis Vuitton put on a grand display to launch a collection of decorative leather objects for the home. Consuming numerous rooms, the objects were instilled atmospherically amongst the baroque walls of the 19th century Palazzo Bocconi. Each piece was imagined by selected reputable designers, provided with the theme of travel. 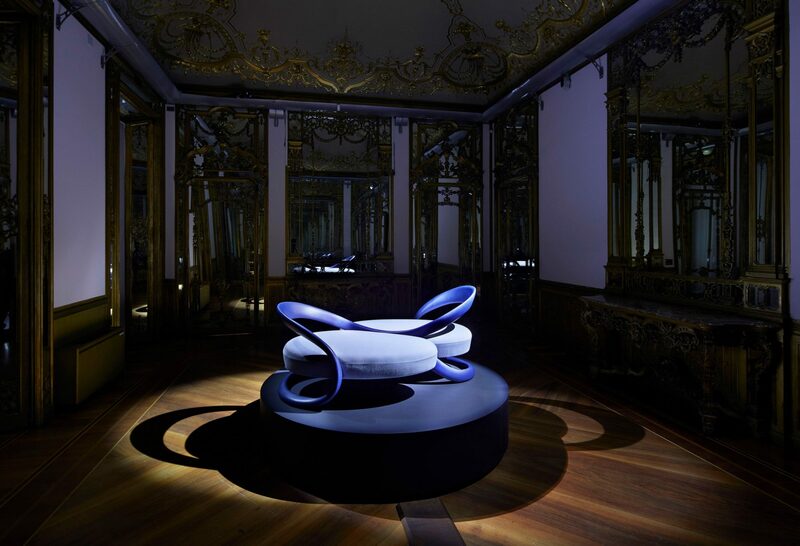 The range included vases, portable lamps, mirrors, soft furniture, but one of our favourites was the striking ‘“conversation” chair by André Fu, which featured elegant, swooping leather-covered arms to imitate the motion of traditional Asian ribbon dance. If you’d like to learn more about our brand, follow us on our newly established Czech & Speake Bathrooms Instagram account.